At Christmas time, it’s not uncommon for clients to send presents to the companies they worked with over the past year. Although your business might have been the one providing the services to the client, it’s important to say “thank you” after receiving a gift. 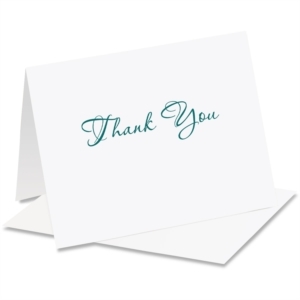 According to manners expert Emily Post, thank you note etiquette dictates that you send a note any time you receive a gift from someone who isn’t a close friend, especially if you aren’t able to say thanks in person. It’s ideal to write out a thank you note for a Christmas gift as soon as you can. Try to write the note the same day, or the next day at the latest. Putting off writing the note means you’re likely to forget to do it. If you’re swamped with end-of-the-year work during the holiday season, have an employee write the note. Read and approve the note before it’s sent. Depending on how many gifts your company receives at Christmas, it can be tempting to write the same thank you note over and over. Doing so will save time, but it will also make your clients and other gift-givers feel that you don’t actually appreciate the presents. Customize each note, stating the name of the gift-giver and the item they gave. You can describe how your business will use the gift or simply express gratitude that the person took the time to think of your company. 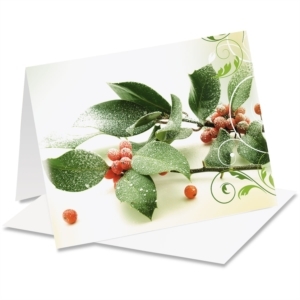 Write the notes by hand on Christmas note cards for an extra personal touch. In the era of email and text messages, sending an actual, paper note seems a little outdated. While it’s okay to call or email the gift-giver right away to say thanks, it’s also good thank you note etiquette to follow up with an actual card. A physical note lets the gift-giver know that you appreciate his or her thought and that you hope to continue to do business with them in the coming year. PaperDirect has the supplies you need to get ready for the Christmas gift-giving season. 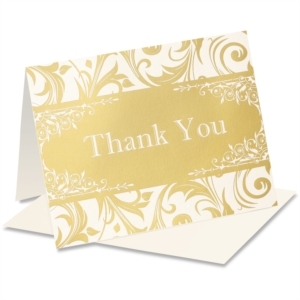 The site makes it easy to order thank you cards and other Christmas stationery online.